That's a bummer in NEI it was so handy you didn't need OP the server woul've just told you if you didn't have the perms. Now I can't change time in a server where I'm staff with the buttons even though I have the perms. Hmm okay, that's not something I've thought about. Currently I use a vanilla method to find out if a player can use the command. 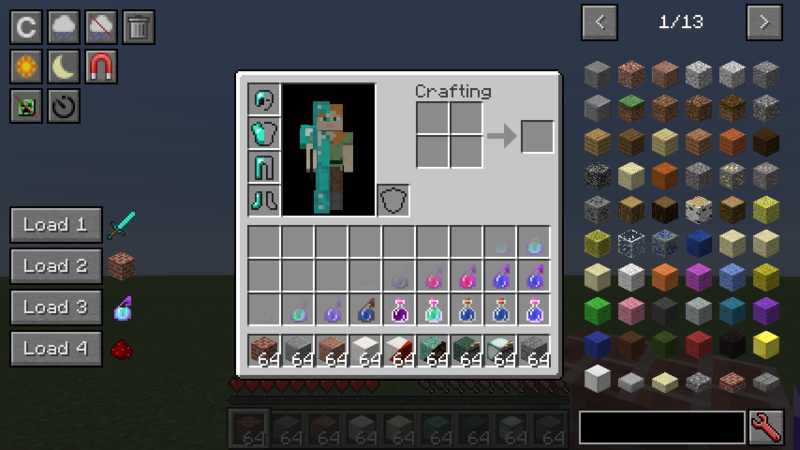 Is there any way to move the buttons around so that I could use these alongside FTB Util buttons? [Bug] When you hover a button, wich then shows a tooltip, and then just close the inventory, the tooltip will show up in other GUIs, no matter where your mouse cursor is. Thanks for reporting that bug. Should be fixed in the next release! Brilliant! one of the best mods I've downloaded, so sick of typing most of those commands, you just made me very happy lol..
not to mention how usefull this will be for making redstone stuff etc I can now just save my inventory to all the different building sets I like.. talk about a time saver!! This seems like a nice small mod! 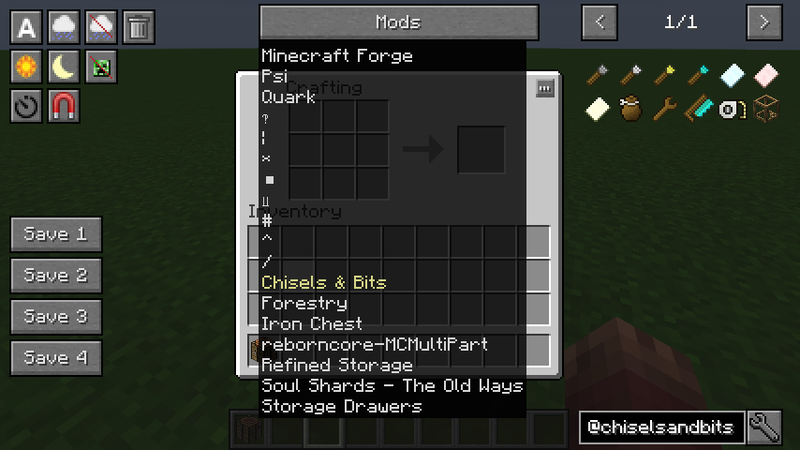 I added it to the NEI Features in 1.9+ chart. Take a look and see where you fit among similar mods. 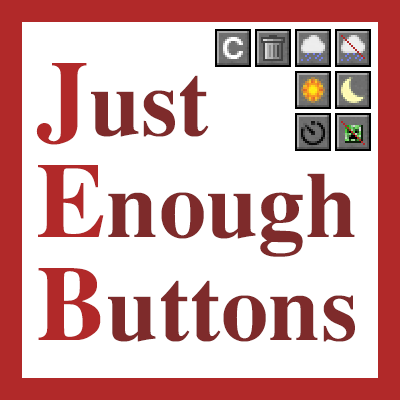 Would it be possible to make the buttons hide when JEI is hidden? Or possibly add a separate keybind to hide them? Soz to keep badgering but where is the data from the inventory saves located? Trying to migrate stuff to new instance (multiMC). In there are files with the uuid of the player they're attached to. The great work continues! Thanks for the save buttons - cool. Trying to think when you would actually need to do this? As an idea could the delete button be toggled and then anything clicked/run over in the inventory would be deleted instead - Dullard proofing for persons such as myself! Many thanks for your endevours.